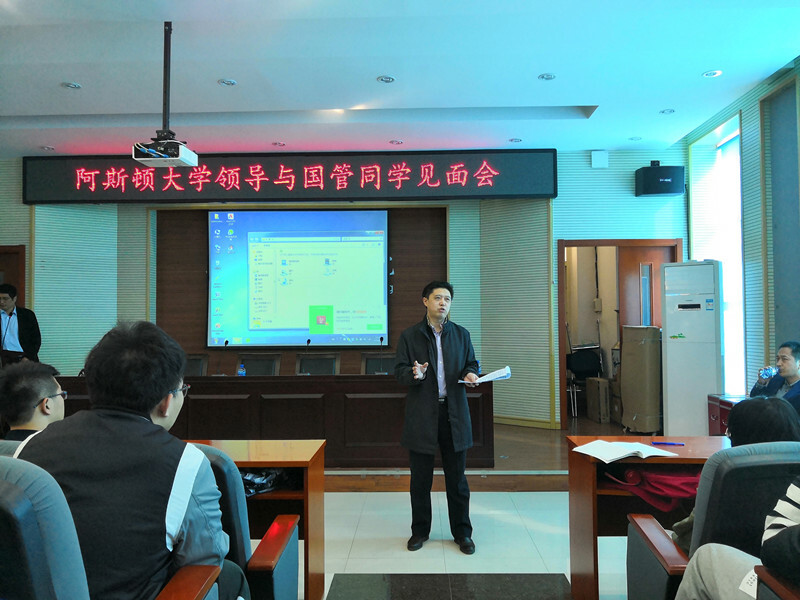 On April 8, 2019, by the invitation of the Northeast Forestry University, with the company of Ms. Julia CHEN, Director of Academic Faculty of AEMG Academy, Dr. Kenneth Park, Deputy Head of Engineering, Systems & Management from Aston University visited Northeast Forestry University. Dr Zhiming LIU, Vice Director of Academic Affairs Office of Northeast Forestry University, Dr Zhenwu SHI, Secretary of the Party Committee of the Civil Engineering College, Dr Donghui CHENG, Vice Dean of Civil Engineering College warmly welcomed the representative from Aston University. In the afternoon of April 8, a project student lecture was held in the building of Civil Engineering. The students responded warmly and asked questions actively. Kenneth gave detailed answers to the questions raised by the students. 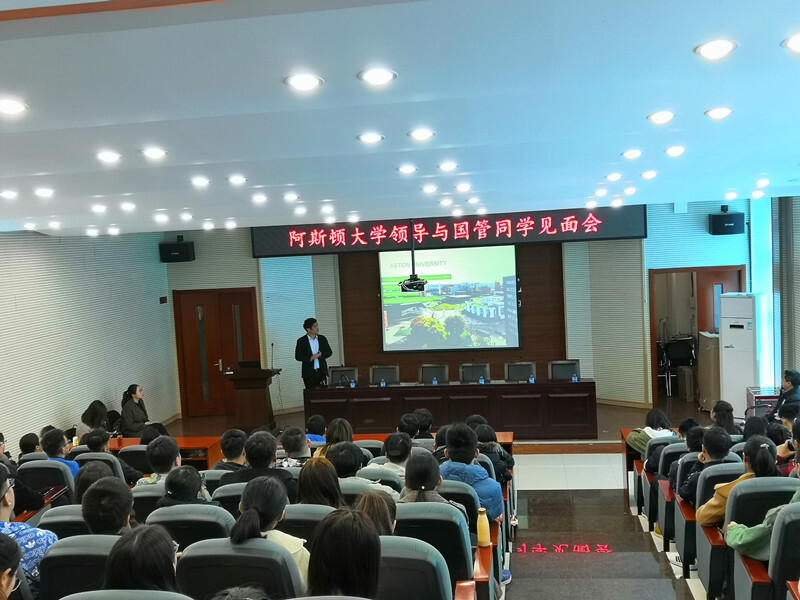 In the morning of April 9, the two universities had a meeting in the conference room of Civil Engineering College, they discussed some issues about the joint education program. This visit has a positive outcome. It further strengthened the partnership between AEMG and these two universities, deepened mutual understanding and laid a solid foundation for the next phase of cooperation.